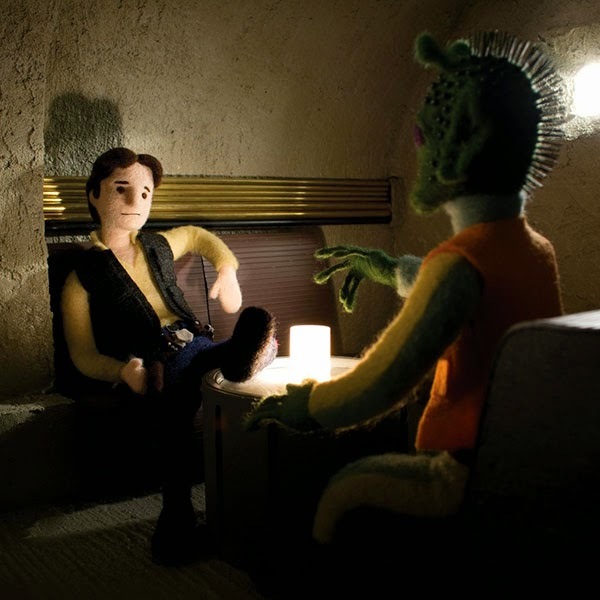 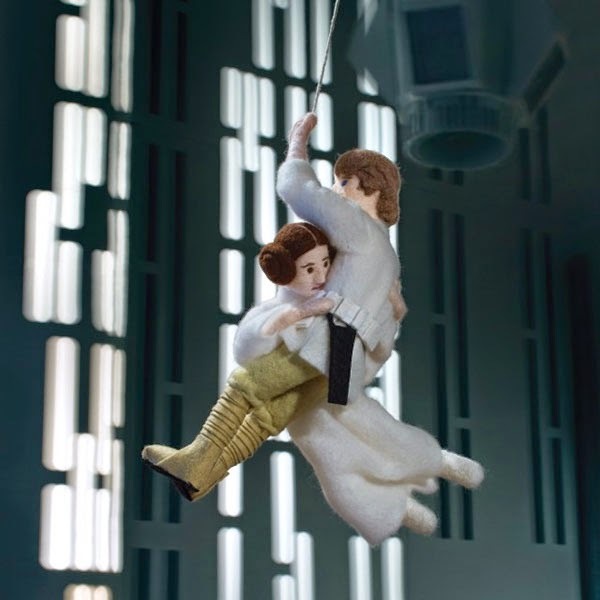 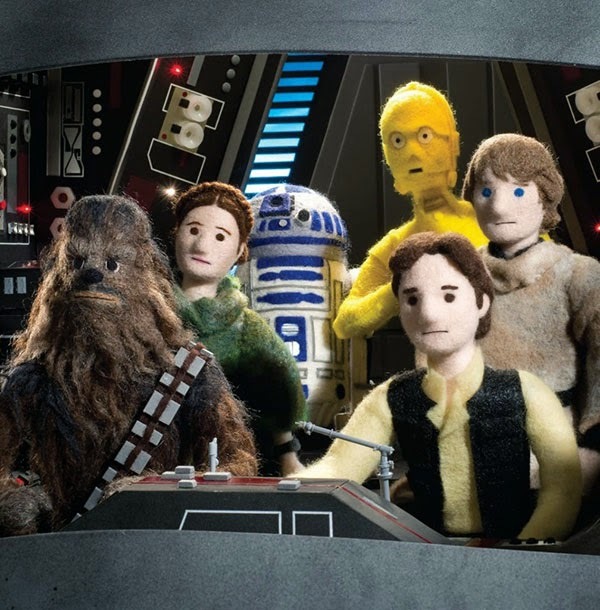 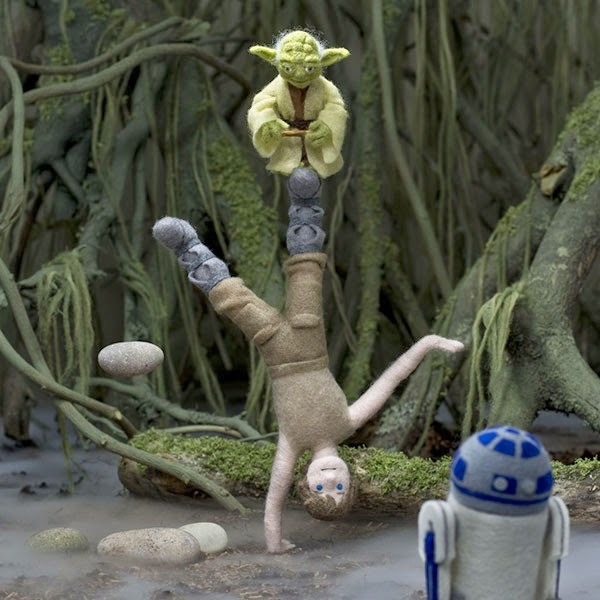 Star Wars scenes handcrafted in needle-felt for a book series that tells the story of the first three Star Wars movies. 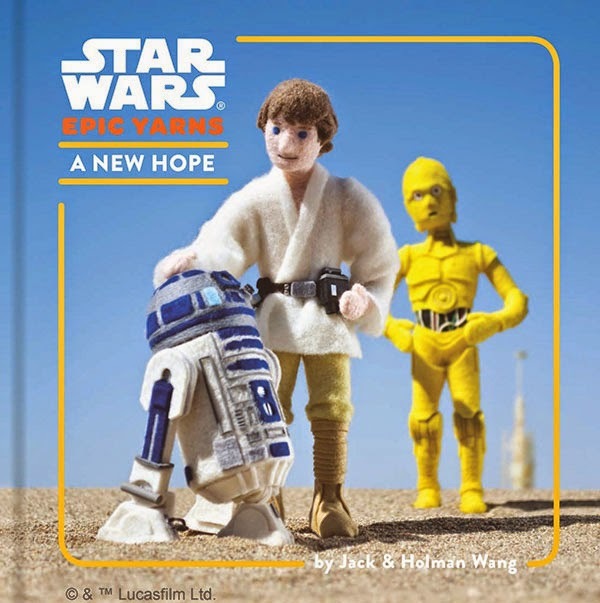 Each volume features twelve iconic scenes summarized in just a single word with each scene painstakingly recreated in elaborate sets at 1:7 scale and shot in real backdrops such as deserts, swamps and snowy mountains to give them an authentic feel. 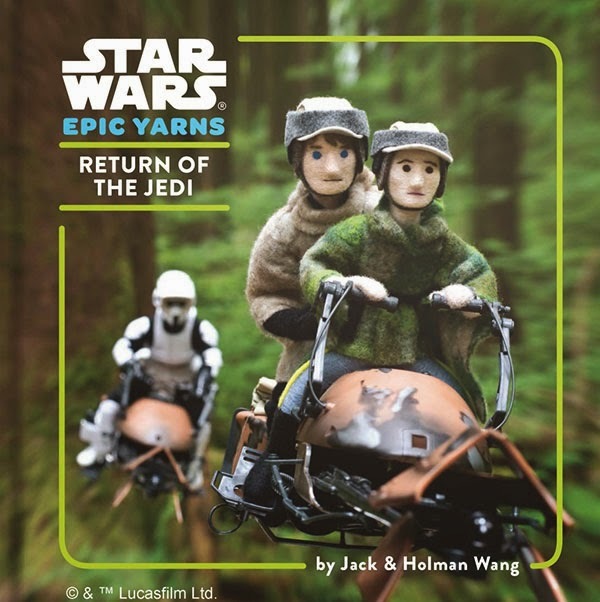 Jack and Holman Wang, twin brothers from Vancouver, British Columbia are the creators of the Cozy Classics series. 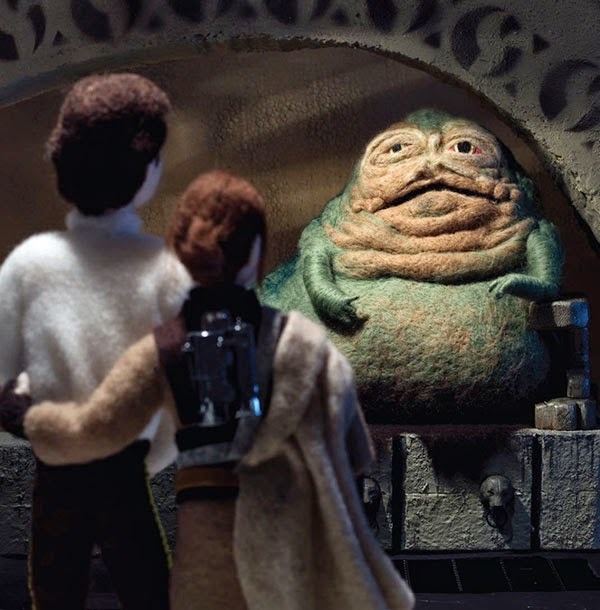 Jack is a professor of writing at Ithaca College in Ithaca, New York, and Holman, a former lawyer, is an artist and author. 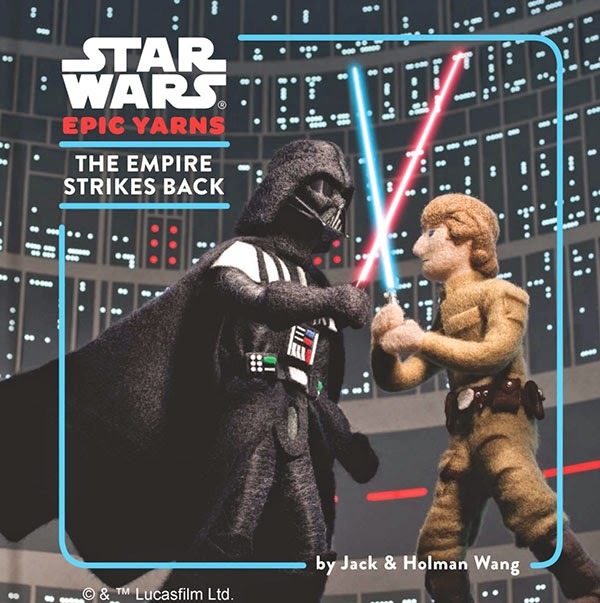 Star Wars Epic Yarns is available to purchase at Chronicle Books.